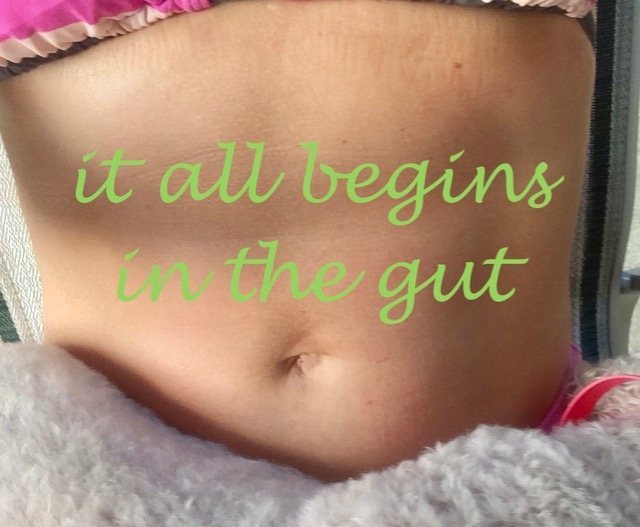 Why Is Your Gut Health So Important? Everything begins in the gastrointestinal tract. Or so it seems. The big focus is on what it contains: the microbiome. Colonization of the microbiome begins in utero, rapidly expands at birth and continues to change over a life time. The gastrointestinal tract can easily be compared to our external environment with forests, lakes, trees, insects, fungi, bacteria, plants and animals. When populations are in balance, there is harmony in life. What is in the microbiome? Most of the microbiome research to date involves bacteria; some are helpful, some are harmful and some have roles of which we aren’t quite sure. The microbiome can also include viruses, fungi, helminths, algae and protozoa. It is an intricate ecosystem with many interdependent factors. The human microbiome exists in the gastrointestinal/urogenital tract and also on the skin. The trillions of cells that make up our microbiome actually outnumber the human cells that we have in our body by tenfold. It could be said we are microbes having a human experience! It is influenced by where we live, the food we eat, the times we eat, emotional stress, trauma, quality of sleep, toxins from our personal products, chemical exposure, and drugs. How do I know if my microbiome is healthy? A healthy regular stool is not always indicative of a healthy microbiome. History of autoimmune conditions, food sensitivity, sugar cravings, gas, pain, bloating, bad breath, candidiasis, brain fog, mood changes, weight issues, skin issues, joint pain, trauma, stress, headaches, use of birth control or other hormones, frequent use of antibiotics and certain drugs can all be factors or indicators of microbiome disruption. Since the environment, drugs, stress and food all contribute to changes in the microbiome, it is important to recognize and address any contributors that cause troubles. Clinical intake and tests are used to flush out root causes and provide clarity. One helpful test to look at the key players of the microbiome is the comprehensive stool and parasitic analysis. Knowledge of the landscape certainly helps streamline the treatment. Food sensitivities often rise when the microbiome is off balance. It is important to recognize the foods that are bothersome, remove them for a while and do the work to remove unwanted microbes, replace with healthy ones and repair the gastrointestinal tract lining. This process can look slightly different and protocols are individualized based on the condition of the microbiome the lining of gastrointestinal tract and the overall health of the patient. Rather than reach for a fix for the symptoms, look for the root cause instead. Naturopathic and functional medicine doctors look at the whole system and how organs and body processes interact. Many chronic conditions can be eased with gastrointestinal tract focussed treatment. It is very possible to reduce or even be free of the burden of headaches, joint pain, poor mood and itchy rashes. 1. Evrensel A, Ceylan ME. The Gut-Brain Axis: The Missing Link in Depression. Clin Psychopharmacol Neurosci. 2015;13(3):239-44. 2. Thomas S, Izard J, Walsh E, et al. The Host Microbiome Regulates and Maintains Human Health: A Primer and Perspective for Non-Microbiologists. Cancer Res. 2017;77(8):1783-1812. 3. Clarke G, Stilling RM, Kennedy PJ, Stanton C, Cryan JF, Dinan TG. Minireview: Gut microbiota: the neglected endocrine organ. Mol Endocrinol. 2014;28(8):1221-38. 6. Tang WH, Kitai T, Hazen SL. Gut Microbiota in Cardiovascular Health and Disease. Circ Res. 2017;120(7):1183-1196. 7. Thomas S, Izard J, Walsh E, et al. The Host Microbiome Regulates and Maintains Human Health: A Primer and Perspective for Non-Microbiologists. Cancer Res. 2017;77(8):1783-1812. 9. Evrensel A, Ceylan ME. The Gut-Brain Axis: The Missing Link in Depression. Clin Psychopharmacol Neurosci. 2015;13(3):239-44. 11. Dey N, Wagner VE, Blanton LV, et al. Regulators of gut motility revealed by a gnotobiotic model of diet-microbiome interactions related to travel. Cell. 2015;163(1):95-107.